A short promotional video for the Grace Spitfire, ML407. 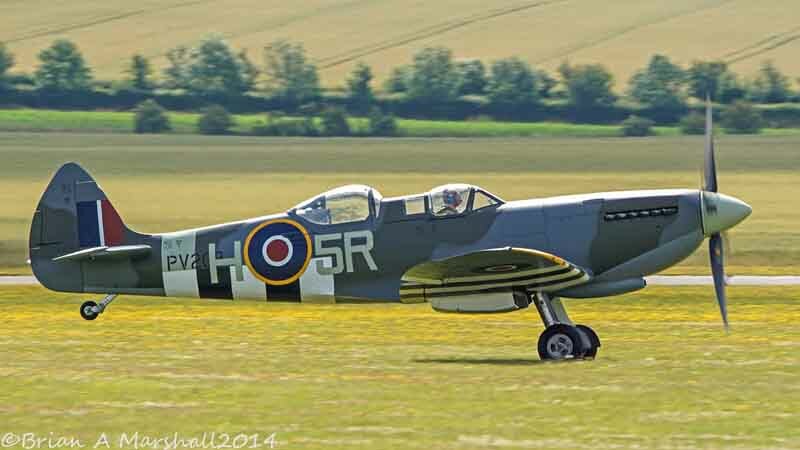 To support the Grace Spitfire or to find out more please visit Air Leasing Ltd.
As for so many, the Supermarine Spitfire is a thing of beauty as well as world-famous for its historical achievements in WW2. Long admired by me, my wife bought me Geoffrey Wellum's book 'First Light' some years ago and I was transfixed by his descriptions of learning to fly, first flight in a Spitfire, being vectored by radar at night onto an enemy aircraft at the very limits of radio reception, blind flying over the North Sea, flying off a carrier in the Mediterranean, the defence of Malta, and many more. I've re-read it several times since. I said to myself "If only I could do that that someday" and as I knew 2-seat Spitfires were around I did some research, only to discover there were huge restrictions imposed by the CAA. However in 2015 these were eased and paid-for flights for members of the public became available. Originally I looked at the Boultbee Academy but I think in order to have a chance of taking control one had to have a private pilots licence. It's also a long way away for me at Biggin Hill. Then in 2018 my wife bought me a Spitfire calendar and the photo for February was the Duxford 2-seater operated by Classic Wings. Mentioned it to my wife who said "Go for it" so started research in earnest. Two basic packages one of about half an hour and one about an hour ... and I was then told I might as well go for the longer flight! So that was it, booked for 28th July, and a long wait. However I was getting increasingly annoyed with Classic Wings as they seemed incapable of putting all the information together, culminating in discovering only two days before that instead of needing to be at the briefing at 10am as in the information sent, a phone call to them about something else told me I needed to be there 15 minutes before that, i.e. 15 minutes after opening, and people with afternoon flights were advised not to arrive until an hour after opening to avoid the queues! 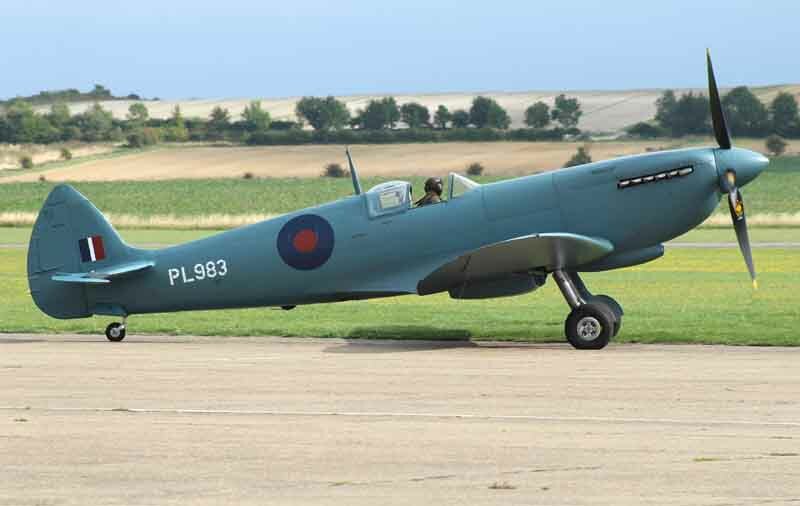 By this time I wished I had discovered the Grace Spitfire at Sywell and booked with them instead, as they sounded a much better group of people to deal with, and a more consistent and personal approach. Then came the day - the first break in the good weather in two months, and cancelled! Picture by Fred Taylor on FighterControl.co.uk. 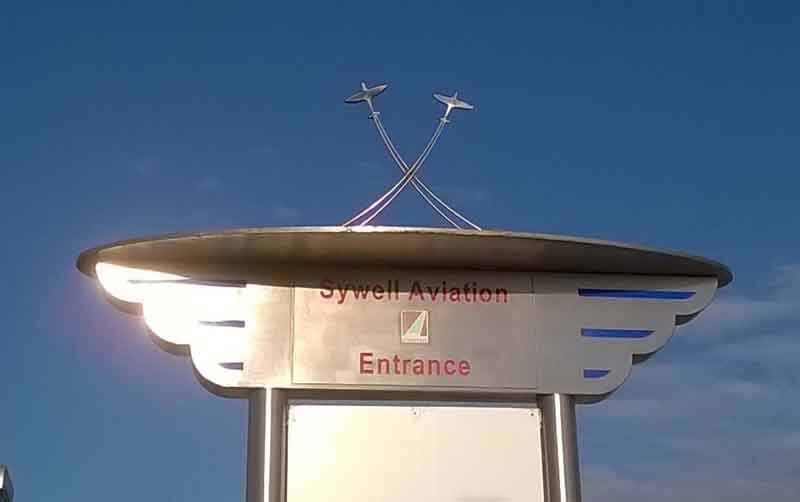 I had to wait another six weeks for 13th September, and another complication was that being another morning flight travel down on the day from Solihull was simply not an option given the traffic chaos from first thing in the morning to quite late in the evening. For Duxford we had been at our son's place not far away, but Sywell has The Aviator hotel on site, so even better giving us the afternoon to travel down. The hotel celebrates its Art Deco origins with much period decor, furniture and posters as well as it's flying history which is another bonus for me as I have always loved the products of that period even before I knew it had a particular name. And the entrance to the commercial area is no exception. Another bonus was that due to rain in the morning they were operating all that day's flights in the afternoon, and we arrived in time to see three go off together - the Spitfire, a P51 Mustang and an ME 109 all with passengers, a formation flypast on their return, then another two go off in the Spitfire and the Mustang. They park right next to the hotel garden so a really good view of operations. We had spent the week before haunting several weather forecast sites, and it was looking good for the day, and getting better day by day. On the morning it was glorious! Clear blue skies and just a gentle breeze. The briefing room in the hotel to get kitted up with overalls, gloves and helmet, not to mention the sick-bag! Then out to the aircraft for the cockpit briefing from Carolyn Grace. A lot to take in, but several pages of briefing notes had been supplied beforehand which I had read through many times, so it was easy to put what I can now see in the cockpit into context - getting 10 out of 10 from Carolyn for my recall which makes things much easier for her. Why people would take up an experience like this and not put the effort in to get the best out of it I can't imagine. 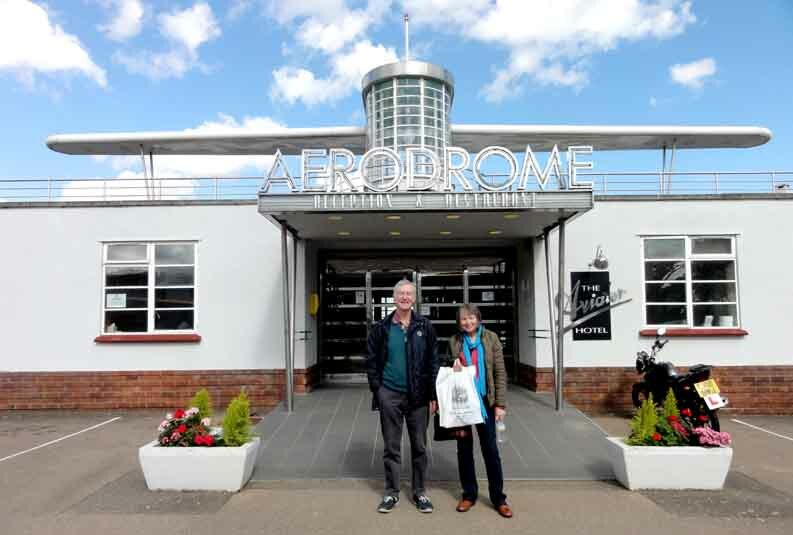 Discussing the flight with pilot Alex Smee, where I would like to fly over (grandkids school at Kimbolton) and what I wanted to do by way of aerobatics - everything! Which pleased Alex greatly! Parachute fitting - yes, in case of an incident that put the aircraft out of control. If I see Alex getting out I am to do the same! Getting in, care needed to avoid catching the parachute on the front of the rear canopy. ... and Alex straps in. By this time my canopy has been closed, for which I had to lean my head right forwards. If I had needed to open it myself (normally only in certain emergencies) I would have had to lean my head forward again whilst pulling back with my left hand on the release handle which is above one's head - potentially quite tricky I can imagine as one gets older. Several operations of the hand fuel pump (a bit like tickling the carb on an old motorbike), then fire up - first time despite being cold. ... weaving from side to side as that is only way to see what is in front of the aircraft. Then a short hold to test the engine at take-off power, onto the runway, clearance to take off, open the throttle, and away! As we surged down the runway I wanted to laugh out loud, but as intercom silence had been requested for takeoff and landing I managed to restrict myself to the most enormous grin and shaking my head in wonderment at where I was and what I was doing. If there had been one thing I wanted to see more than anything else, it was looking down on that beautiful wing with the patchwork fields beneath, and there it was. Then the most amazing 45 minutes I have ever experienced. The air is so clear we can see for miles in all directions, just fluffy bits of cloud above (we are at about 1200ft). 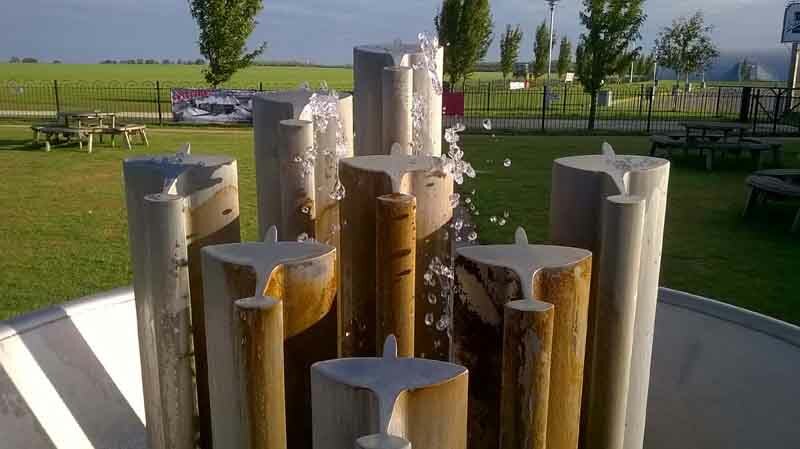 To Kimbolton first and several circuits of the village where my grandchildren are at school. I've pre-warned the kiddies I'll be overhead, I can't see anyone outside (I wonder if they can hear), but I give the school a wave anyway. Then Grafham water and a couple of circuits annoying the fishermen. We then had time to go across to Duxford for a fast and low pass down the runway. The bank and dive down to the runway was like the best roller-coaster ride ever, and to see the clear outline of the Spitfire shadow speeding across the ground was fantastic. Moving the stick back and fore seemed to have less back-pressure, and did need more care not to overdo it. At one point I pushed the stick forward enough to make the carb-fed Merlin splutter a bit so concentrated on maintaining altitude and just doing gentle turns. Back to Grafham water to make my own circuit. Then a full victory roll. Head back looking 'up' through the canopy to see the ground going past either forwards or sideways really was something else. Finally a typical 'display' flight with a group of trees standing-in for spectators, showing how passes were made at various attitudes to give the best view of the aircraft to those on the ground, and back to Sywell and a fast and low pass for my wife. ... and asks how I got on. "I think he enjoyed it ..."
Probably where the phrase 'ear to ear' comes from. Oil streaks from under the engine covers, how 'classic' is that? What an absolutely fabulous way to spend an hour or so. As Jeffrey Quill writes in his Epilogue: The Spitfire was very much a pilot's aeroplane. It had an indefinable quality of excitement about it - an unmistakeable charisma - which greatly appealed to young and eager pilots, added to which it was the fastest and highest performance fighter of its day and most pilots wanted to fly the best. ... As I climbed out of the cockpit of AB910, I felt the sadness of bidding farewell to an old and trusted friend. Amen to that, from an aged and 'would-be' pilot. Books: There are hundreds of books involving the Spitfire. As said above I can't overstate Geoffrey Wellum's 'First Light', it is probably the best account of flying a Spitfire in training and anger you will ever read. Jeffrey Quill's 'Spitfire: A Test Pilot's Story' contains a huge amount of detail on how each version of aircraft and engine was developed from the prototype which he was the second person to fly, right through to the PRU, Seafire, Spiteful and Seafang versions including operations from aircraft carriers. He describes the problems they encountered and how they got over them, many of which were as a result of the phenomenal developments in the Merlin and later the Griffon which lead to the horsepower more than doubling. The all-up weight more than doubled as well, and he recounts how the difference was the equivalent of the first production version carrying 32 passengers and luggage! 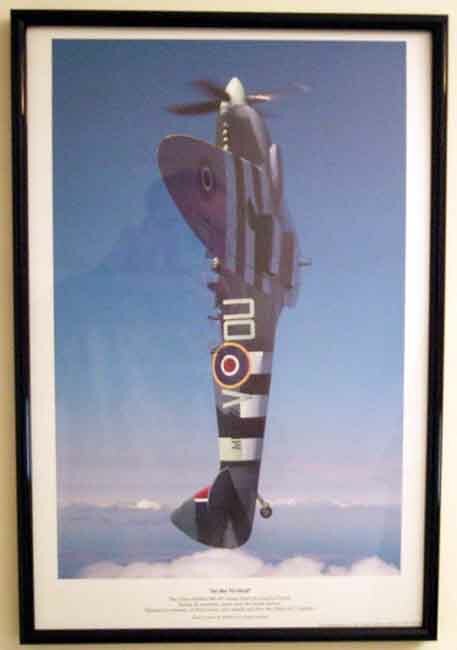 He also fought in the Battle of Britain for a period which gave him a great insight into its performance in combat. 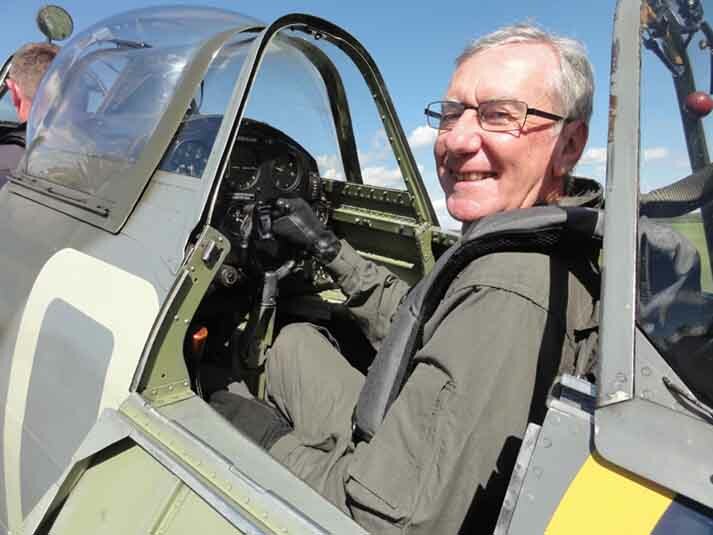 No 'side' to him at all, and as he describes his last landing in a Spitfire in the 60s - the BBMFs AB910 that saw combat in the Battle of Britain and flew defensive patrols over Normandy on D-day, one can feel the emotion. A superb book. Alfred Price's 'The Spitfire Story' is also packed with information on development but also combat operations around the world, with many sections written by the people that flew them. Another very good book. I can't recommend Alex Henshaw's 'Sigh for a Merlin'. 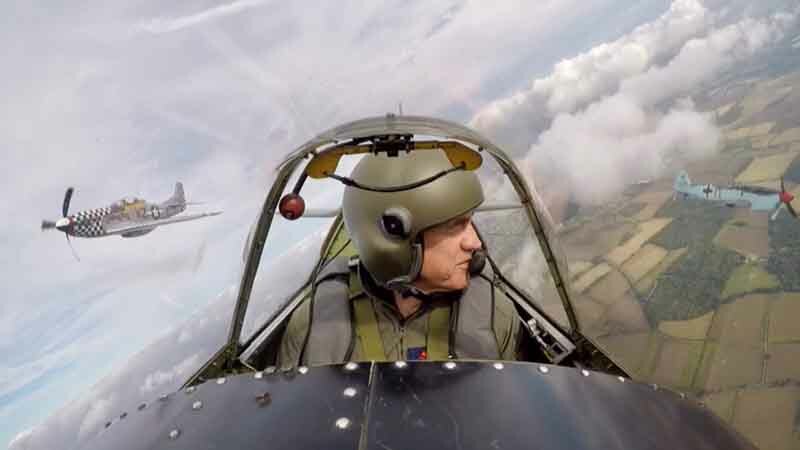 Yes, he was a brilliant pilot, especially at low-level aerobatics which he never tires of telling us, but after that you can forget learning anything about the Spitfire. Henshaw was a production test-pilot which consisted of flying each one a set series of manouveres over about 40 minutes and three takes-offs and landings each, then handing it over to an ATA pilot for onward delivery. He may well have flown most of the 20,000 that came out of Castle Bromwich, but as all but a handful passed the tests he has virtually nothing to say about the aircraft or the engines. He also comes across as arrogant and petulant, on more than one occasion refusing to do his job unless someone with whom he had clashed were transferred away. Jeffrey Quill - the senior of the two - didn't think much of one unplanned 'display' which involved a ground-level roll under very low cloud where the upper wing-tip was out of sight. Henshaw made it plain he wasn't going to take any notice so Quill left him to get on with it, and that's about all Quill has to say about him. 'Spitfire Girl - My Life in the Sky' by Jackie Moggridge is an amazing story. She delivered 'my' Spitfire when new and is featured in the Grace Spitfire DVD trilogy with Carolyn Grace including a flight, I spotted this book in the local library while looking for Alex Henshaw's. An incredible character, brought up in South Africa she became the first female to do an unaccompanied sky dive there, as well as learning to fly and getting her basic licence at 17. At 18 she travelled by sea to England unaccompanied to obtain her commercial licence, and was most of the way there when war broke out and all training schemes cancelled. She eventually got into the ATA and has a number of fascinating tales to tell. However she is not exactly complimentary about the bulk of the ATA women saying they were very snobbish, she was only accepted because she was from South Africa and didn't fit into any obvious class - 'Heaven help a Cockney', she says. But the most amazing part of the book is post war which takes up fully half the book. 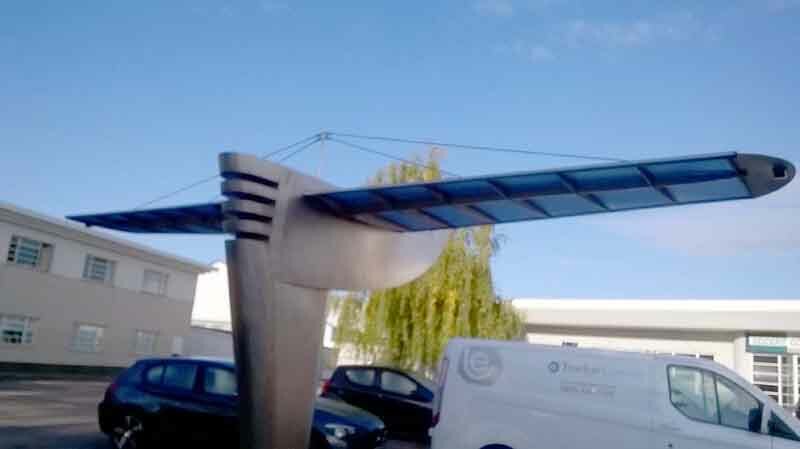 When she finally got her commercial licence (at Wellesbourne just down the road from me and home of Vulcan XM655) she struggled against sexual inequality, having to conceal her gender just to get an interview. Even when she did get work she wasn't allowed to use the on-board public address system in case it worried the passengers. While attempting to get work she ended up with a dodgy character smuggling ex-Israeli Spitfires to Burma first through Arab airspace in violation of their trade embargo, and when that got too dangerous they had to take the long way round through Turkey, making several refuelling stops at dirt strips with no facilities, and with minimal navigation equipment. The weird thing for me was when flying through Arab air-space one of her stops was at Habbaniya Air Force base in Iraq, just a year or two before I spent 14 months there as a schoolboy, and taking the same refuelling route. As far as the ATA goes the 168 women are remembered far more than the 1153 male pilots, who were mostly rejected for active service on the grounds of age or infirmity - three pilots only had three arms between them! - but are hardly ever mentioned. A relatively recent book is John Nichols' 'Spitfire - a very British love story', a gift from my wife for Christmas 2018. Almost entirely based on accounts from the people that designed, made, transported, flew and maintained them, it covers all the theatres it saw action from North Africa to Russia and the Far East. Some repetition from the big names but a whole lot more from the 'little people' who played just as important a part. 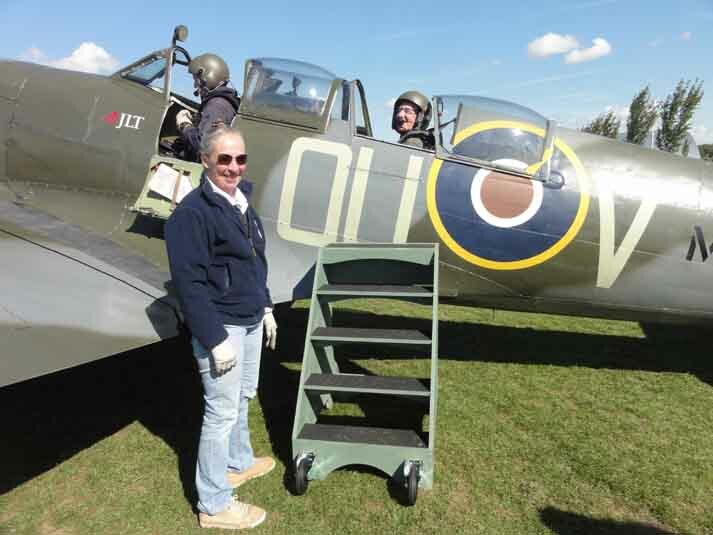 Two stories that stick out in my mind are the senior mechanic who, never having flown a Spitfire before but knew the principles, took a Spitfire with tools and parts to a forward air-strip in Italy to try and rescue a MkIX that wouldn't start. The strip was right on the front line with no mans land one side and an artillery battery the other that were firing across the runway trying to hold off the enemy and prevent the allies from being pushed back into the sea with the enemy firing back, while aircraft were landing and taking off. 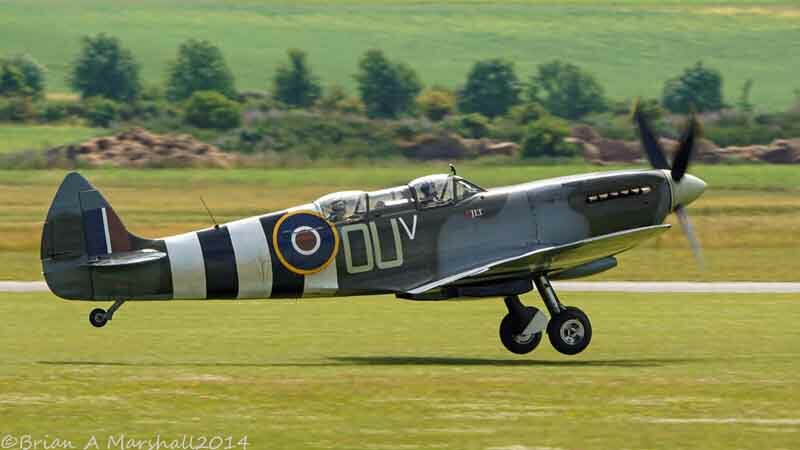 He calmly replaced all the spark plugs and two pilots got both aircraft back to quieter lines, with him being taken back by road under arrest for 'stealing' a Spitfire. He was court-martialed and found guilty, but the pilots on the board were so fascinated he had taken off and landed with no instruction that the sentence was minimal. The other is a New Zealander who found himself alone and under attack from no less than twenty Japanese fighters over the jungle. Through the most violent manouveres he was able to stay away from their guns, and whilst not able to shoot any down they eventually gave up probably through fuel shortage. He landed exhausted at the remote strip that had been jumped and all the other aircraft destroyed to find one of the wings bent and many rivets sprung due to the massive G-forces way beyond what the designers had provided for. One cannon shell had passed through the cockpit but not hit anything. He then had to get back in after refuelling and fly the same aircraft back to his main base. Just two of so many incredible accounts in this book. Whilst Eric 'Winkle' Brown's 'Wings on my Sleeve' doesn't contain a huge amount on the Spitfire or Seafire it is an astonishing account of the sheer number of different aircraft types he flew and the situations he flew them in, many were firsts in carrier landings. Of special note are the captured Nazi experimental (and often lethal to the pilot) aircraft he flew and the assistance he received from German mechanics and engineers to get them flying again after the war, and as a German speaker he was able to interview Hermann Goering and the Nazi test-pilot Hanna Reitsch post-war. He flew way more types than anyone else had or ever will, and made more carrier landings than anyone else (despite an officially sanctioned but aborted American attempt in peace-time to beat him), many of those being 'firsts' for that type. Getting on for 600 can be found in Amazon, see my Virtual Bookshop.